Early on in my medical training I was introduced to the term ‘GP Land’. Coming from an island where there was only ever two doctors working, the concept of a hierarchy within the medical profession was very strange to me. I quickly grasped that the division between hospital doctors and general practitioners rested on the assumption that GPs worked an idealistic 9-5 with weekends off and no on-calls while hospital doctors were overburden with far more intellectually challenging medical dilemmas. The impression I got prior to starting my GP placement was that hospital doctors, in the eyes of the public, were the real doctors. GPs were just bad impersonators living in ‘GP Land’. One thing that stayed with me the most was a conversation I had with a classmate while on our clinical placement. One of the junior doctors was planning on becoming a GP and it sparked a conversation about those in our class who wanted to be GPs. I remember my classmate saying that the junior doctor was too smart to be a GP. Wanting to be a GP was a ‘waste of talent’. But my experience from GP placement made me think otherwise. We are told over and over again in lectures that medicine is both a science and an art. You can know all the pathophysiology behind a disease, all the treatments possible, all the mechanisms of action but being able to recognise the clinical signs and take a good history is where the artistry becomes crucial. What I learned from observing GPs on placement was that what separated a good doctor from a great doctor was how well they managed the peculiar combination of science and art in medicine. To me, GPs are the true artists of medicine. Unfortunately, like most great artists, their art is both under-appreciated and often goes on unrecognised. The artistry of General Practice lies in what I call the humours of General Practice. In ancient Greek medicine it was thought that the body consisted of four humours; yellow bile, black bile, phlegm and blood. The composition of these humours was thought to determine the disposition and the health of patients and so ancient medicine focused on balancing these humours. This led to a system of individualised treatment where patients were treated holistically, considering both mental and physical health. Today’s GPs have the advantage of seeing patients from the cradle to the grave, seeing whole families and most importantly getting to know their patients. This allows them to understand the temperament of their patients and so tailor their consultations to suit whoever is in front of them. 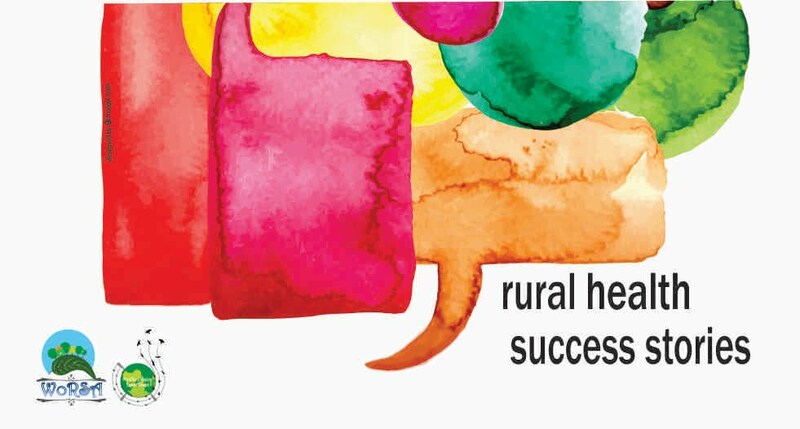 Even among GPs, rural GPs have an even deeper understanding of their patients. One moment were I experienced this was when I saw a lady complaining of neck pain. She had worked in the past as a carer before the implementation of hoists and lifts and so had experienced a lot of wear and tear. In the past she had had a scan that showed the damage to her cervical vertebrae and so I had determined the best plan for her would be to have a repeat scan and see if the damage had gotten worse. I looked expectantly at the GP that was observing me to confirm that this was the right decision and she responded, “No, but I will tell you why”. It turned out that the lady had a history of depression and anxiety and sending her for a scan would just have made her feel worse. She had used acupuncture for the pain in her neck and that had worked marvellously for her. The GP later explained to me that the pain in her neck was most likely due to muscle stiffness probably affected by her anxiety and all she needed was to relax. She was put in a quiet room with classical music playing in the background, had her acupuncture and left the practice beaming. This experience forced me to learn that deciding what happens next with a patient is determined solely by protocol or what I think is their main worry, it’s about the disposition of the person in front of you. It’s understanding what the next step means for them, their daily life, their occupation, and their family. My attachment in general practice has given me some of the most enriching experiences of my medical education. It has helped me put a face to the massive amounts of information I need to learn. It has forced me out of my comfort zone and on to the frontline, seated across from a real life patient. It’s safe to say that my greatest achievement from my GP placement, although still a work in progress, is in the development of my clinical judgement and communication skills. Being able to read and understand the expressions and body language of a patient as well as I can read and understand the medication lists and patient notes. My GP placements have helped me to maintain, and even grow, my love and passion for medicine. In an age where medical careers are taking the form of narrower and narrower sub-specialities, I hope that the value of the artistry of medicine, perfectly demonstrated by General Practice, does not get lost or forgotten. Brief Description about the author: Amber is a third year medical student at Swansea University. Originally from the British Virgin Islands, Amber has been active in the area of rural family medicine and hopes to return to the Virgin Islands to practice medicine. 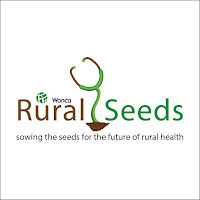 Amber is a participant in the Rural Family Medicine Cafe and Swansea University's Rural and Remote Health in Medical Education (RRHIME) program. Amber is also the Caribbean student representative for WONCA Polaris. Nice one Amber. Indeed GPs have mastered both the art and science of medicine.